Matt Goodman, MD is an Associate Professor in the Department of Internal Medicine at the University of Virginia. He has a strong interest in preventive medicine and in helping patients change self-destructive behaviors. He has practiced and taught mindfulness for over 15 years. Teresa Miller, MEd began her mindfulness practice more than 10 years ago, and it has deepened with regular retreats and ongoing study, including training with Jon Kabat-Zinn. She offers mindfulness instruction for the sake of easing suffering (stress, pain, anxiety) and allowing life’s challenges to be met with compassion and wisdom. Teresa teaches mindfulness in diverse venues, including the Fluvanna (VA) women’s prison, and leads short retreats. She has served as a trainer with the Community Mediation Center of Charlottesville, as adjunct faculty at the Federal Executive Institute, as a life coach for individuals and as facilitator of experiential leadership training, all with the intention to cultivate presence, effectiveness, resilience and ease. John Schorling, MD is Professor of Medicine and Director of the Mindfulness Center and the Physician Wellness Program at the University of Virginia. He completed residency training in internal medicine at the University of Virginia and in preventive medicine at the University of Washington. His clinical interests include general internal medicine, fostering healthy lifestyle behaviors, and physician health issues. He has practiced meditation for over 15 years and has participated in the Mindfulness Based Stress Reduction Professional Training program with Jon Kabat-Zinn and Saki Santorelli and has completed the University of Massachusetts Center for Mindfulness Teacher Development Intensive training. His interests include teaching mindfulness to medical students, physicians and other healthcare providers, the application of mindfulness at work, and on research in the clinical applications of MBSR. Susan has meditated for almost 30 years, has lived in monasteries for 3 years and has received mindfulness training from nationally recognized teachers. A guiding teacher with the Insight Meditation Community of Charlottesville, Susan is currently on sabbatical. She has taught mindfulness in middle school and founded and taught weekly mindfulness groups in men’s and women’s maximum-security prisons. She was on the staff of the Being with Dying program at Upaya in Santa Fe NM for two years. She was a hospice volunteer and is a Reiki master who has worked with AIDS patients. Susanna Williams, PhD is on the faculty of the UVA Mindfulness Center, where she teaches several courses (including Mindful Writing and Mindfulness and the Brain) and directs educational research in the contemplative sciences. She also works with the Center of Appreciative Practice, leading workshops and developing curriculum. She has worked in academic and corporate settings, both internationally and domestically, designing and implementing systems for well being based on the latest neuroscience. She has been engaged in spiritual practice for many years and is a certified yoga instructor. Cawood Fitzhugh, NP is a family Nurse Practitioner with the University of Virginia Department of Family Medicine. 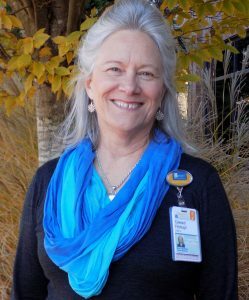 She is on Adjunct faculty with the School of Nursing and has been involved with the Compassionate Care Initiative started by Dean Dorrie Fontaine in creating Resiliency among nurses. Cawood has been keenly interested and involved in Mindfulness Based Stress Reduction for almost 10 year since arriving at the University. She has trained with Jon Kabat Zinn, Saki Santorelli and Florence Meleo- Meyer and has completed the University of Massachusetts Center for Mindfulness Teacher Development Intensive training. Her interest is in helping others, especially health care providers, to understand their own present awareness without judgment and the connection to compassion, increased resiliency and improvement in one’s own health. She does this through teaching group sessions, individual patient sessions and giving seminars regarding Mindfulness. She is also interested in helping to further research in the Mindfulness arena.